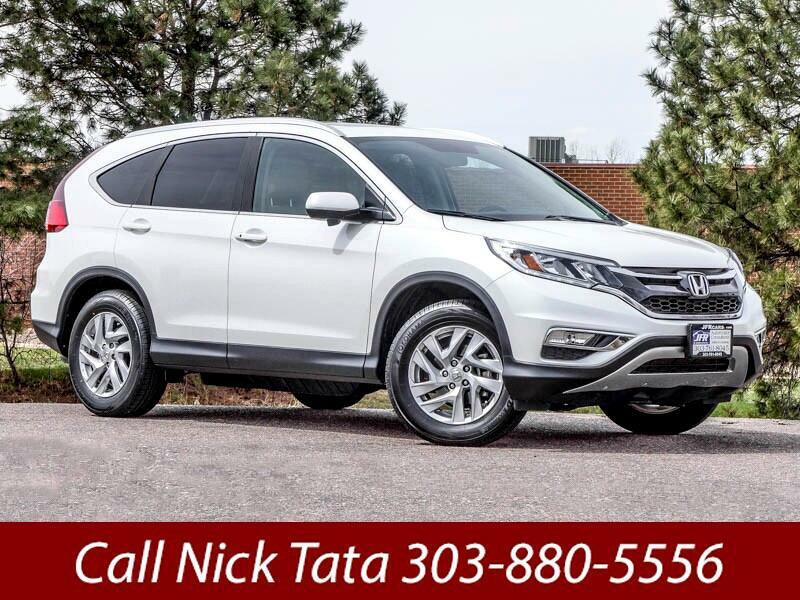 Used 2016 Honda CR-V EX-L AWD for Sale in Littleton CO 80120 JFR & Associates, Inc.
You'll appreciate how this Honda CR-V makes your life easier, and it's packed with features you'll love. This SUV offers plenty of cargo room, appealing safety features, exceptional fuel economy (City 25 - Hwy 31), rear seatbacks that fold flat and plenty of room for adults. Once you get behind the wheel of this CR-V, you'll feel like you've just been introduced to an old friend. The cabin is comfortable with easy to use controls and gauges that are at your fingertips. The wide doors make it easy to get in and out of this vehicle. This Honda CR-V comes with a variety of options like Satellite Radio, CD player, a backup camera, alloy wheels, Bluetooth integration, sunroof, tilt steering, navigation, heated front seats, separate driver/front passenger climate controls, plus lots more to make your driving experience more enjoyable. You are cordially invited to take this Honda CR-V for a test drive and discover for yourself why this SUV is so popular. Contact us today and schedule a test drive. You'll be glad you did. Call Nick Tata at 303-880-5556 if you have any questions or if you would like to schedule an appointment to see this vehicle.